SMPlayer is an award-winning MPlayer graphical user interface (GUI), capable of playing almost all known video and audio formats. In addition to providing access to MPlayer’s most common and useful options, SMPlayer adds other features such as the ability to search and play Youtube videos, subtitle search, and skinnable interface. It is a multi-platform player that runs on Linux and Windows systems. Current users of SMPlayer should be knowing that YouTube playlist support was added a little more than a year ago, but the video playback was limited to 29.97fps, implies when a video of 60fps from YouTube is loaded, SMPlayer drops the playback to 29.97fps. There has been a considerable amount of unhappy users who didn’t like this drop in fps, especially considering resolutions up to 4K support was already available. So, SMPlayer dev team has been working on this fix for a while. 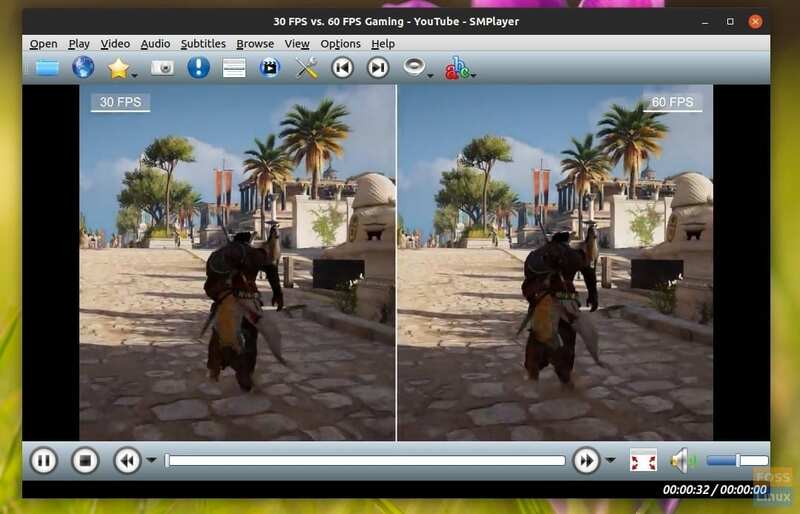 SMPlayer 19.1 fixes this concern and one can now play the YouTube videos at full 60fps on SMPlayer. Another notable feature that’s added is the ability to search for subtitles by using the name of the movie or show. Apart from the new features, the team reported several bug fixes in this release. Step 4) We suggest to install themes and skins too to jazz it up a bit. That’s it! You can launch it from the Applications menu. You can install SMPlayer by compiling from source. Download the latest tar.bz2 package and compile it from the source. A step-by-step guide on how to compile an app from source should be useful for you to get it done. Alternatively, the SMPlayer team is courteous to provide ready to execute binaries. You can download it from the official website.